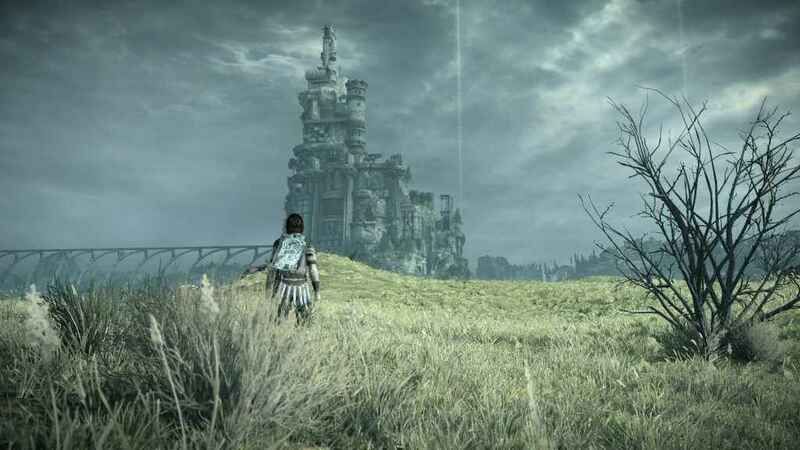 Shadow of the Colossus comes to PS4 as spellbinding and beautifully tragic as it was just over twelve years ago. The moment I came to this conclusion? It was a battle I had encountered on multiple occasions in the last decade or so. Yet as the first Colossi once again turned to face me, after I dared to bother it with my piddly arrows, I sat watching in awe at its sheer size and distinct look. I was magically transported back to the first time I faced this intimidating, yet majestic behemoth on the PlayStation 2. All at once I felt warmly comfortable in toppling the first of sixteen beasts. When it was done, I once more felt that slight pang of regret at destroying something so unique and remarkable. Shadow of the Colossus had its claws in me again, and I never wanted it to let me go. Bluepoint Games have to take a large share of the credit for that. 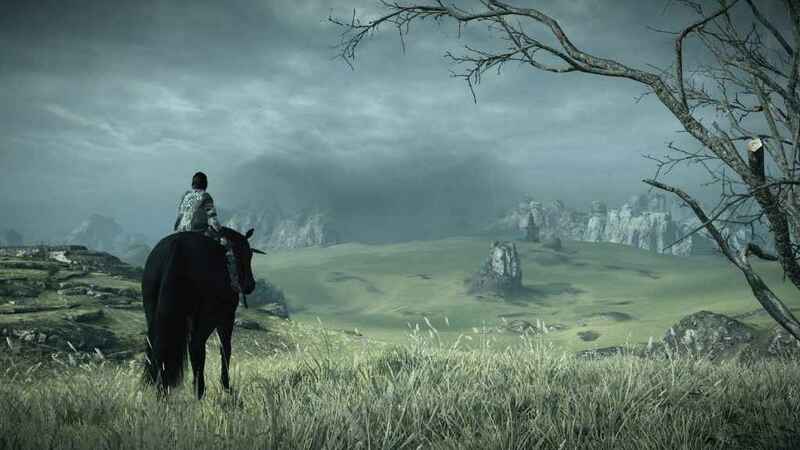 The core components that made Shadow of the Colossus into something flawed, yet special, remain. It’s the work the studio has done re-engineering a game from the ground up that makes this a comfortable transition. 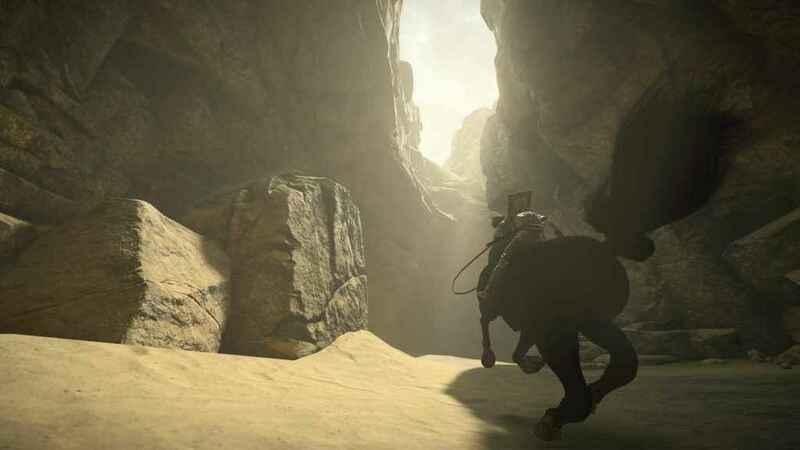 Already a studio renowned for shining up old classics and improving upon them without much in the way of compromise, Bluepoint has perhaps done its most impressive work to date in bringing an often fiddly, barren game kicking and screaming into the modern age. Of course before we get into that, there’s the small matter of a potential new audience to address. For the uniniated, Shadow of the Collosus is from the team that made achingly beautiful puzzle platformer Ico and the long-gestating (yet utterly splendid)The Last Guardian. It forms the middle part of a loose thematic trilogy with the other two games. You play as Wander, a young man driven to an extreme solution by his grief over the death of his true love. Wander goes to a forbidden land in the hope of an ancient ritual that could revive his dearly-departed. He does indeed find that ritual, and an all-powerful disembodied being promises she will be resurrected if Wander can complete 16 trials. Those trials happen to be killing a collection of large beasts. 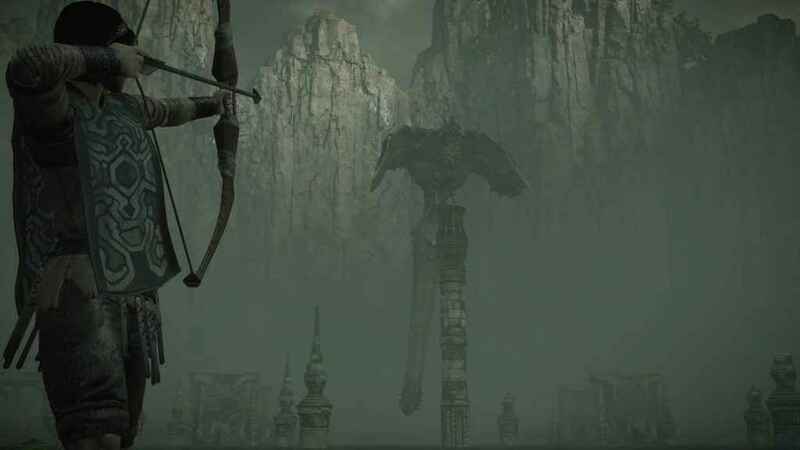 Each of these beasts, or Colossi, are essentially boss fights, and the journey to find them is effectively the level that precedes the fight. There are no other creatures to battle, the land is populated only by small scrabbling lizards and the birds (which hold their own importance all the same). 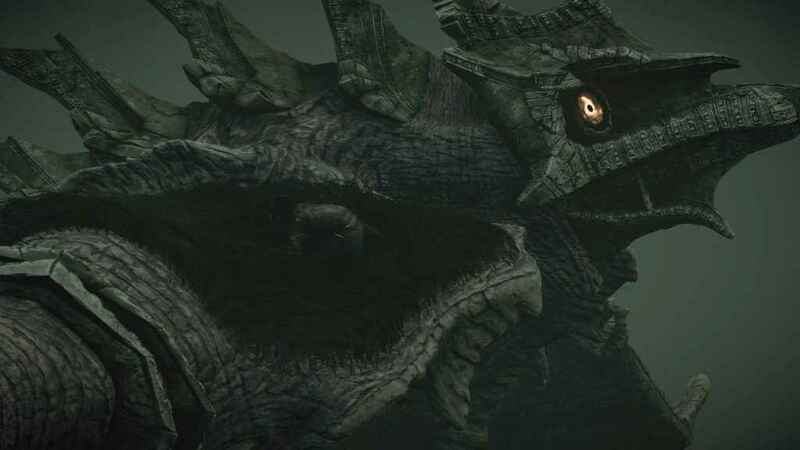 The Colossi are at once the boss fights and puzzles. Each Colossi requires a different strategy. Your ultimate objective is to scale these mysterious beasts and thrust your blade into glowing symbols that represent weak spots, and half the fight is figuring out just how to do that. Some require tricking in order to expose a spot that allows you to climb them, others require you to use the environment to entice them. Then it’s a case of climbing upwards usually. All the time gravity, momentum, and your own grip are factors in how successful you’ll be. Wander can’t hold on forever, and with these hulking giants often twisting and thrashing as you climb, it’s another layer to the strategy you have to consider. Your sword is handy beyond stabbing where solving these moving puzzles is concerned. When Wander raises it to the sky, beams of light reflect off it to give you a bit of direction. At first it’s best used for locating where in the forbidden lands your next target is, as the beams turn into singular shaft of light when pointed in the direction of your target location. It’s secondary use is in the fights themselves. The beam will highlight weak spots before you get to climbing. Meaning you don’t end up clambering around unnecessarily as much, saving that valuable grip. Even though these monsters range in size from that of a rhino all the way to a skyscraper, there’s a constant feel of being up against overwhelming threats. The orchestral swell that accompanies your hard-fought ascents of hulking behemoths is so rousing and uplifting that it spurs you ever on in your quest to fell them. These encounters are what truly make the game what it is. In previous versions, the only real gripe about them was how bloody hard it could be to move about thanks to the often unwieldy controls. 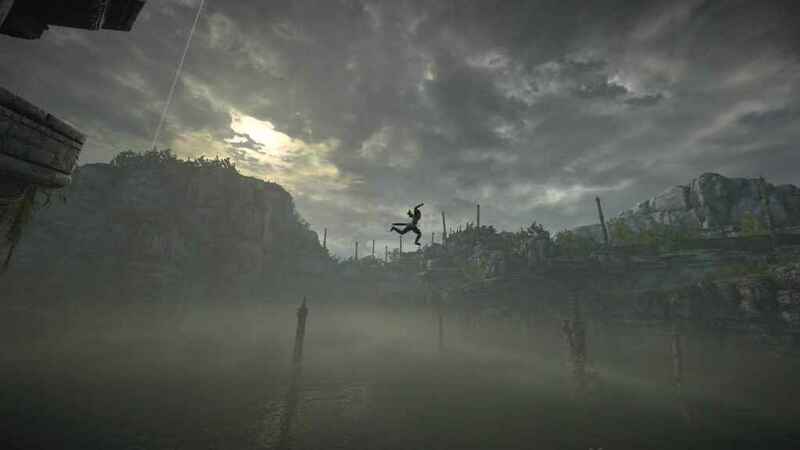 It was a big sticking point where Shadow of the Colossus’ detractors were concerned. The good news is Bluepoint has given players far more choice in how to control Wander. And made three tiers of difficulty to boot. Having personally played through Shadow of the Colossus with the old control scheme multiple times, I wasn’t quite as fussed as some about having some more modernised options in this remake. Yet I used them anyway, and I’ve found they strike a good balance between being more accessible and responsive. They also maintain that near-essential feeling that you’re fighting to stay in control at times. It could have been so easy to just completely modernise the controls. Easy to make Wander and his horse Argo’s turning circles tighter, but to do so would have robbed the game of a good chunk of its physicality. 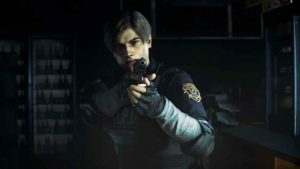 Bluepoint have found a fairly happy middle ground, but it will still be a tad cumbersome for some tastes. I do guarantee you curse Argo on at least one occasion however. That horse is still both a loyal servant and a royal pain in the arse at times. Much like Trico in The Last Guardian, Argo often performs like a real animal to varying levels of joy and frustration. The star of the show is how Bluepoint have updated the game’s look, again without nullifying much of what made it so awkwardly beautiful to begin with. What it does lose is the almost painted look to Wander and the world itself. Yet the rebirth of the forbidden lands and its inhabitants is still so very gorgeous a sight to behold. There’s a fine air of unreality to the world, more in line with The Last Guardian now than with Ico. You can tell the world has a history to it in the small details you’ll discover. It’s still a mostly barren land that is occasionally touched by historical beauty and mystery. Alongside that, are the Colossi and their own fascinating appearances borne of hard rock skin and swaying, thick fur. Fans already know what to expect in terms of creature design. For the sake of newcomers, the less I say now, even after all these years, the better the experience will be. It’s why the game’s addition of a photo mode comes in handy, as there’s just so many moments worthy of being captured for prosperity. Unfortunately, the game’s original little quirks and faults do seem to be intact for the most part. I got stuck a couple of times due to the animation of Wander looping infinitely. Meaning I could not die, but could not progress either. Animation bugs are frequent, usually when Wander himself has been flung from a Colossi, but in all honesty, it didn’t bother me then, and it doesn’t really bother me now. That’s going to be something newcomers may pick on though, so worth mentioning all the same. 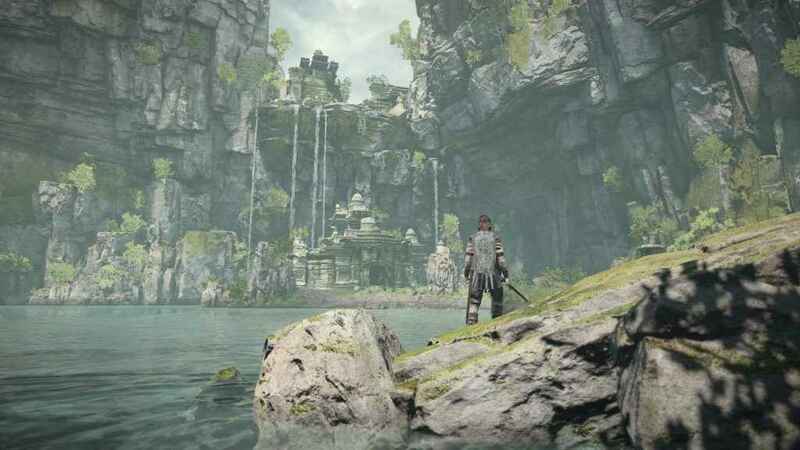 Otherwise, for what is a ‘budget’ release, Shadow of the Colossus is a thing of beauty. Shadow of the Colossus (the original) is already something of a classic, but far from a widely-played one. 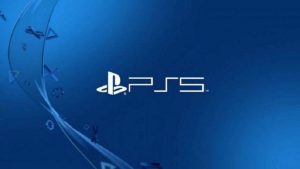 Even on PS3 when the game received a second chance, it came when that console was playing second fiddle in a generation that craved multiplayer bombast above all else. Here, it’s at a budget price point, on a system in its absolute prime. It’s just arriving at a point where the desire for single player adventures and experiences is at a high point. And Bluepoint have, as mentioned, brought it back with some gorgeous visuals, that beautifully rousing soundtrack, and multiple control and difficulty options to help the game reach as broad an audience as possible. This is a ground up reworking of a classic that loses little of what endeared it to those who played it more than a decade ago. The surprise factor of it is obviously dulled for that audience, but the game’s subtle, simple storytelling stands firm for old and new. A stripped back experience by modern standards, but one that feels as monumental as some of the Colossi that star in it. 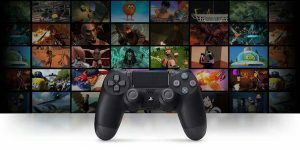 Shadow of the Colossus review code provided by Sony Interactive Entertainment. The new and improved Shadow of the Colossus brings the game into the modern era successfully. It carries over a few flaws and annoyances, sure, but it's been refined where it matters most, and the net result is a return to the forbidden lands that's just as achingly beautiful and magical as it ever was.